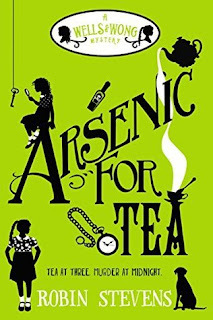 Why yes, I did pick up Arsenic for Tea by Robin Stevens purely because of the title. Because how intriguing? And I was very pleasantly surprised to find a new favourite series, because Wells & Wong are the detective duo I need in my life. Schoolgirl detectives Daisy Wells and Hazel Wong are at Daisy's home, Fallingford, for the holidays. Daisy's glamorous mother is throwing a tea party for Daisy's birthday, and the whole family is invited, from eccentric Aunt Saskia to dashing Uncle Felix. But it soon becomes clear that this party isn't really about Daisy at all. Naturally, Daisy is furious. Then one of their party falls seriously, mysteriously ill - and everything points to poison. With wild storms preventing anyone from leaving, or the police from arriving, Fallingford suddenly feels like a very dangerous place to be. Not a single person present is what they seem - and everyone has a secret or two. And when someone very close to Daisy looks suspicious, the Detective Society must do everything they can to reveal the truth... No matter the consequences. 5 Words: Tea, mystery, murder, crime, detective. I saw tea in the title and I knew I had to read it. And I'm so glad I did, despite not realising it was the second book in the Wells & Wong Mysteries series. Because this was awesome. I have discovered that I have a huge soft spot for detective stories. This story has a pretty timeless quality, and I couldn't quite place the era at first. And Daisy and Hazel are so awesome. They just work so well together, the friendship between them is really something special, and I loved how it was tested in this book. I was so invested after just a few pages. This book is excellently written. You're just sucked right in to the girls' world, wondering whodunnit and hoping that all is not as it seems. It's like you become part of the family. And so I'm so glad it ended like it did. I've started with book two and now I'm off to get book one and pre-order book three! 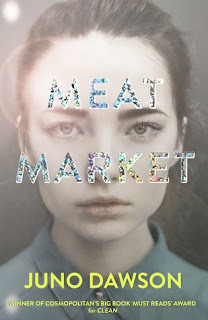 You can definitely read this series out of order as I have, but after reading one you'll likely want to read them all anyway.